As a child, I had a special fondness for stories about self-sufficient kids who, through ingenuity and determination, manage to survive even in the savage wilderness. 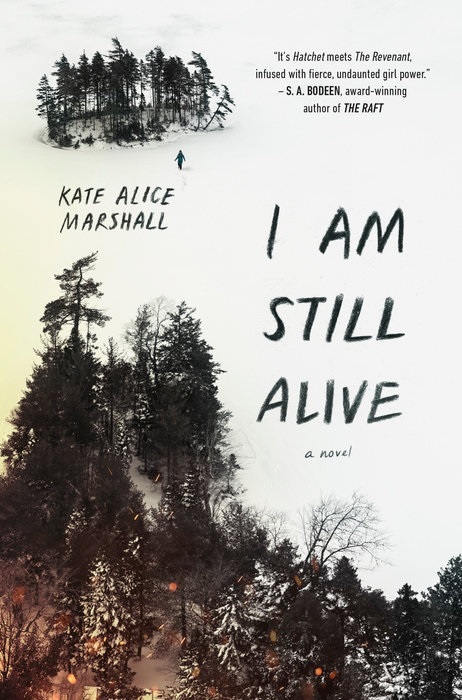 I was reminded of this subgenre by the gritty young adult novel I Am Still Alive by Kate Alice Marshall (Viking, $17.99), which has earned comparisons to Hatchet by Gary Paulsen (Simon & Schuster, $8.99) and The Revenant by Michael Punke (Picador, $16). Kicking off with a series of tragedies, Marshall leaves her protagonist, Jess, stranded in the Canadian wilderness, desperate to find shelter and food. The pleasure in I Am Still Alive, as in Hatchet, comes in watching the resourceful teens find solutions to seemingly impossible situations. In Hatchet, 13-year-old Brian also has to learn to survive in the Canadian wilderness after a plane crash. I remember key moments with surprising clarity, such as the scene where Brian learns how to use his hatchet to create sparks and, eventually, fire--as well as to defend himself in a terrifying encounter with a bear. 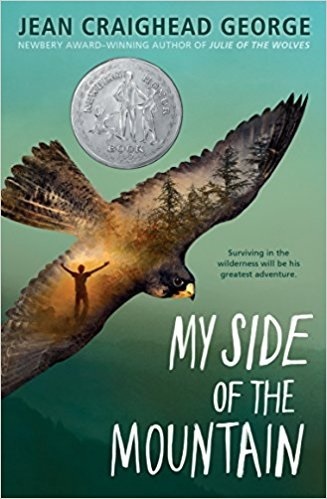 Jean George's My Side of a Mountain (Puffin, $7.95) tells a similar tale of survival, this time in the Catskill Mountains in New York and with the aid of a pet peregrine falcon, while Scott O'Dell's Island of the Blue Dolphins (HMH, $7.35) is based on the true story of a young girl who survived alone on an island off the coast of California for many years. When going back through books I loved as a kid, I'm surprised to find so many examples of these survival stories. It seems a strange fixation for an indoor kid who lasted about a week in the Scouts. Then as now, I liked the type of introverted escapism these books provided, where protagonists had to struggle with and sometimes learn to embrace their lonely situations. I Am Still Alive is set apart somewhat by the protagonist's pursuit of revenge, but it draws upon old, beloved traditions in children's literature. --Hank Stephenson, bookseller, Flyleaf Books, Chapel Hill, N.C.
From the boy wizard to the bard, author Simon Lelic picked his "top 10 false identities in fiction" for the Guardian. Quirk Books imagined "Jurassic word: classic books improved with dinosaurs (and maybe some Jeff Goldblum)." Bustle suggested "5 reasons a seasonal TBR will help you smash your end of year reading goals." "For sale: writing advice from Mark Twain." Atlas Obscura reported that a letter from Mr. Clemens is heading for auction later this month. Electric Lit explored "why every writer should have a dog." It's been 10 years since the bankruptcy of Lehman Brothers sparked a 4.5% single-day decline on the Dow Jones Industrial Average. That record, the biggest stock market drop since 9/11, was broken on September 29, 2008, by a 7% plunge. The Lehman bankruptcy, still the largest ever, with more than $600 billion in assets pre-crisis, was neither the only nor earliest catalyst of what became the Great Recession, though it brought systemic problems in the financial industry to stark light. 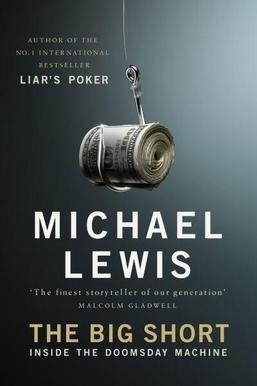 Merrill Lynch and Bear Stearns, among many others, followed Lehman into dissolution, acquisition or bailout. Though the recession officially ended in June 2009, the economy took many more years to recover--a recovery that is at once precarious and top-heavy. Yuyi Morales was born in Xalapa, Mexico, where she currently lives. A professional storyteller, dancer, choreographer, puppeteer and artist, Morales has won the prestigious Pura Belpré Award for Illustration five times, for Just a Minute (2003), Los Gatos Black on Halloween (2006), Just in Case (2008), Niño Wrestles the World (2013) and Viva Frida (2014), also a Caldecott Honor Book. Morales's new picture book, Dreamers (Neal Porter/Holiday House), is an account of her own immigration experience, when she moved with her baby son to the United States. How do you see Dreamers? Sometimes, when the work is new or you are still creating it, you may not know what the meaning is yet--there's just an urgency there to bring it out. Sometimes it takes some time before you realize; before you understand where it comes from. In the case of Dreamers, the initial intention was for me to feel like I was doing something meaningful in a time when our culture and political environment had changed so drastically. Eventually, I came to see this book as a recognition of the many gifts that immigrants bring to a new country. At the beginning, that wasn't my intention. I was just doing this story that was my own journey. People ask me about when I came, and I realized that my narrative was mostly, "I came with pretty much nothing." And my narrative had been that for a long, long time: I came and I had nothing with me. [There is this idea that] immigrants come to take what has already been worked and harvested by the hardworking people of the United States. At some point, I started realizing it is an illusion that [immigrants] come empty-handed. And it's an illusion that we believe as well. But the truth is that we carry much more with us every time we cross the border. In the book, you use a pretty expansive vocabulary. You have "resplendent" in there. In Spanish, we have words like that and you can almost feel them. It seems to embody [the meaning]. And I'm going to blame my Spanish because I think in Spanish--I will think of words like that and then I try to translate. Even now, I mix languages. So, sometimes I use words that are more Latin based because I don't recognize that they are not used as much in the United States. You call the library "suspicious." Did you actually feel that way? The first time I entered a library, it was as a mother, and I had never been in a library [like that before]. My mother-in-law brought me. She didn't speak any Spanish and when she took me there the first time, I had no idea where she was taking me. She made me understand that we were going somewhere so I grabbed [my baby] and got in the car with her, not knowing where we were going. From that moment, the whole thing was a mystery. She could not explain to me what [the library] was--all she could do was let me loose there. I tried to ask her if we could really grab the books. I stationed myself in the children's section. Then I looked at other people and realized they were taking the books from the shelf and so I took the books from the shelf. It was suspicious because I didn't know what to expect--I wasn't sure I was doing the right thing and behaving the right way. And then, almost in every nook, there was something I had no idea even existed. There was a book about making books, about making puppets, even about illustrating children's books. Books about things I had never imagined. There are a lot of transitions from English to Spanish, and the Spanish is not italicized. Was that on purpose? I think that English and Spanish--especially because Mexico and the United States are so close--are like hermanos. So, the language [in the book] is like that. In my life, English has become part of Spanish and Spanish has become part of English. We didn't want to make a differentiation because the whole thing is tied. It's not "I tell you one thing in English and then I tell you the same thing in Spanish so that you understand it." It's that both of them weave together into one single language. Tell us about the mother's skirt--it looks like feathers and it looks like fire and it looks like waves. It's distinct and consistent. It's very alive. I had no idea how I was going to dress her. And I didn't want to change her outfits because, in a way, the story was becoming more of a tall tale, more like mythology. Among the Aztecs, sacred Aztec women were identified by their skirts. The names would be descriptions of the skirt [the woman] was wearing: "the skirt made of snakes" or "the skirt made out of the Milky Way" or "the skirt made of stars." Kate Walbert's His Favorites begins with a drunken joy ride in the 1970s, in which Jo kills her best friend. To avoid the judgment of her community, Jo enrolls in a prestigious boarding school, only to find that her guilt still makes her an outcast. A charming English teacher, Master, recognizes Jo's vulnerabilities and selects her as one of his favorites, a group of girls he both lauds and taunts in class. Outside class, the students become pawns in his games of sexual and emotional manipulation. While Jo is aware she isn't the first, she struggles under the weight of knowing that she will not be his last. Discover: In devastatingly beautiful literary prose, His Favorites offers a deeply intimate portrait of sexual assault and manipulation. Departures and abandonment, deaths and divorces: leavings of one kind or another sprinkle the pages of Crystal Hana Kim's If You Leave Me, a novel set in the later years and aftermath of the Korean War. Young Haemi Lee lives with her widowed mother and sickly brother, refugees of the war in a rundown camp miles from their hometown. Haemi spends her free time with her childhood friend, Kyunghwan, but she is promised to his cousin Jisoo in marriage, giving her an impossible choice: the boy she's loved since childhood, or the boy whose status and wealth can provide for her family. "If you leave me, I won't forgive you," Haemi tells Kyunghwan. "If you leave me, I'll be alone," Kyunghwan tells Haemi. But they do leave each other, again and again--Haemi for Jisoo, for security, for the life she's told to want; Kyunghwan for honor, for revenge, for a life that could tempt Haemi. Discover: This is a heartfelt story of love, war and self-determination in the aftermath of the Korean War. Early in Vanessa Hua's moving debut, she describes how "long ago, two lovers--a humble cow herder and a weaver girl, a fairy in disguise--were torn apart when the Goddess of Heaven, the fairy's mother, scratched her hairpin onto the night sky, welling up a river of stars to separate them." In the following pages, two pregnant Chinese women arrive in the United States and go on the run after being betrayed and exiled by their lovers. Scarlett Chen is a 30-something woman sent by Boss Yeung, her well-heeled and married lover, to give birth to their son at Perfume Bay--a posh "birthing hotel" in a Los Angeles suburb--and therefore gain automatic U.S. citizenship for the child. Boss Yeung intends to pay her off and raise the child with his wife, but Scarlett discovers via an ultrasound examination that she will have a daughter. Fearing anger and reprisal, she escapes in a stolen van with teenaged stowaway Daisy, a fellow Perfume Bay resident. They drive north to San Francisco's Chinatown, where they give birth, survive in poverty and evade detectives paid to find Scarlett. Discover: A River of Stars is a revelatory novel that highlights the struggles of immigrant mothers in their quest to achieve citizenship and the American dream. Cat Kinsella was eight when 17-year-old Maryanne Doyle went missing in 1998. Cat had been in the car when her father picked up a hitchhiking Maryanne only days before the teen's disappearance, but when the police came around asking questions, Cat's dad denied knowing Maryanne at all. Cat knew he was lying but told no one. Eighteen years later, Cat is a detective constable with London's Metropolitan Police. She catches a case involving a woman murdered and dumped not far from the pub above which Cat used to live--the bar Cat's father still manages. As she digs into the dead woman's past, she makes startling discoveries that force her finally to confront her father about their own past and secrets, even if it means severing family ties forever and destroying her career. Discover: A detective constable trying to solve a murder unearths disturbing secrets that might ruin her career and her family. Like the vintage fiction of George V. Higgins, Gravesend is a crime novel where the crime itself takes a back seat to character, corner tap argot and local streets and alleys. 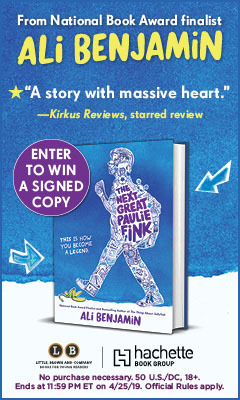 It's set in the Brooklyn, N.Y., neighborhood that's still as the borough was before the Dodgers moved to Los Angeles and the hipsters invaded. Crowded with parish schools and dive taverns like Ralphie's ("a clammy sports bar full of fat cops and smooth Italian boys stinking of cologne"), it's an Italian Catholic place where church and family suffocate the young. The plot is simple: for 16 years, Conway D'Innocenzio ("twenty-nine now, working at a goddamn Rite Aid on Eighty-Sixth Street, living with his old man") has been simmering with hatred for Ray Boy Calabrese, who bullied Conway's gay older brother to a panicked fatal dash into highway traffic. Ray Boy was put away for manslaughter, but with his release, Conway gets a pistol to take his revenge at last. After all these years of drifting, can he actually pull the trigger on his brother's tormentor and killer? Originally published in 2013 by Broken River Books, Gravesend was also published in a French edition by Rivage/Noir; it was recognized by the noir-loving French with a place on the 2017 Prix Polar SNCF shortlist. It features some of the same characters in Boyle's The Lonely Witness, and provides a first look at the backside of Brooklyn world and hardboiled voice of this fiendishly talented author. --Bruce Jacobs, founding partner, Watermark Books & Cafe, Wichita, Kan. Discover: Boyle's reissued debut, Gravesend, is a remarkable evocation of character and place. More than 70 Latinx artists present their views in a variety of comics styles as they recall significant moments in their lives in the U.S. 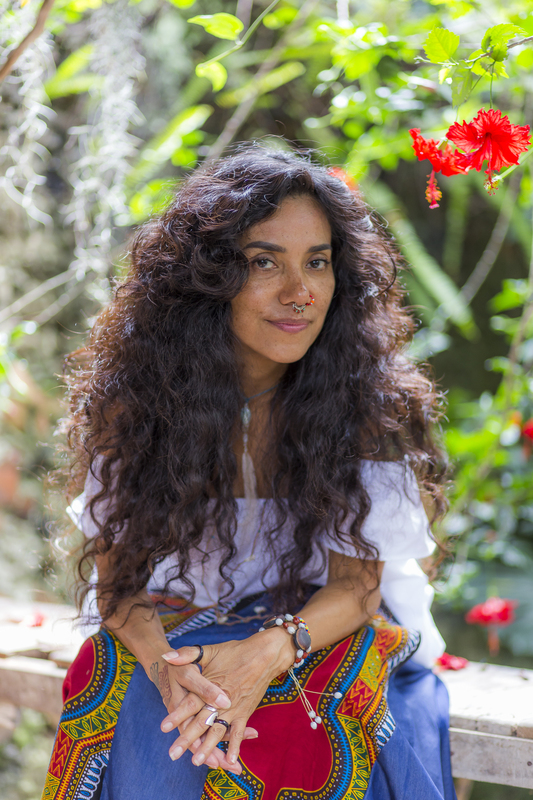 They address subjects such as being unable to speak Spanish, although they may have a Latinx last name or darker skin, and confronting the expectation of fluency despite being raised in the U.S. In "One Time, One Night," the narrator takes pride in being brown after hearing the band Los Lobos play. In "ElChupaSoyMilk," the author explores the myth of the chupacabra. Many contributors to this anthology ("California Girl," "Where the Heart Is") discuss the racism they've encountered, regardless of their country of birth, and pride in being Latinx and American, even when that feeling has arrived late in life. Discover: A group of Latinx artists provide glimpses into their lives through this collection of comic strips. After the collapse of the Soviet Union in 1991, geopolitical expert Francis Fukuyama famously argued the triumph of liberal democracy signaled "the end of history." In Identity: The Demand for Dignity and the Politics of Resentment, Fukuyama revisits his old thesis and argues that in the 21st century, liberal democracy is under threat from myopic identity politics on both the political right and left. Fukuyama's thesis is compelling. He traces the evolution of democracy, from Ancient Greece to modern times, and delineates the philosophic developments underlying contemporary political rights and concepts of equality. Marxist economic views of development have failed, he insists, because they've overlooked the importance of what he calls "thymos," the "part of the soul that craves recognition of dignity." This desire can sustain democratic institutions and equality if citizens share common civic ideals and believe they're part of something greater than themselves. Fukuyama points to Brexit as an example of the opposite: a narrow identity-based interest group superseding a common identity, in this case the European Union. Much of Identity focuses on the darker side of identity politics. Thymos can easily morph into what the author labels "megalothymia," the "desire to be recognized as superior." This desire has fueled a new wave of nationalism and the rise of authoritarian leaders in China, Russia and elsewhere. Fukuyama sounds the alarm bells about the nationalistic tendencies of Donald Trump and argues that liberal democratic systems must resist sectarian identity politics. He also offers some practical advice on how better to assimilate immigrants and minorities into democracies. Discover: Francis Fukuyama delves into identity politics in this wide-ranging work of history and political philosophy. Vanity Fair contributing editor Peter Biskind has written juicy exposés on the birth of new Hollywood in the 1970s (Easy Riders, Raging Bulls) and the rise of indie filmmakers in the 1990s (Down and Dirty Pictures). He now turns his sights on how extremism in politics has affected 21st-century films and TV shows. Abandoning the oral history format of his previous books, The Sky Is Falling is a dizzying ideological treatise on how extremist politics has changed films and TV shows. It has "normalized the extremes so that they become the new mainstream... behavior that was once beyond the pale--violence, lying, revenge--have become the new norm as the public good is replaced by self-interest." The TV espionage thriller 24, which ran during George W. Bush's two terms as president, "used the war on terror as a pretext for the establishment of the surveillance state. Were it not for Jack [Bauer]'s aversion to bureaucracy, 24 would have rung every note in the neocon songbook." Each season had audiences rooting for a hero who used torture to gain information. Discover: Biskind's The Sky Is Falling is a fast-paced and eloquent ideological treatise on how radical politics has normalized extreme behaviors in films and TV shows. Writer of more than 50 works of fiction and nonfiction, Charyn has worn many hats and mastered many styles. With In the Shadow of King Saul, Charyn (Jerzy, The Secret Life of Emily Dickinson) offers a powerful, sprawling collection of autobiographical essays. He communicates in staccato sentences, building mosaics of meditations on love and loss. He profiles writers known and forgotten, politicians, stars of the silver screen and his own family: essays chronicle a day with New York City mayor Ed Koch, the execution of Isaac Babel, the significance of Ellis Island, the promise and tragedy of "the Black Babe Ruth" Josh Gibson, the circumstances of a heart-wrenching faked letter to Charyn's mother. Haunting the collection's core is the figure of King Saul, cast aside for the vaunted David, who, as Leonard Cohen (whom Charyn extols) wrote, "played the secret chord." Discover: Decorated writer Jerome Charyn composes an autobiography of essays, sharing lessons learned from a lifetime of love for leading ladies, literature and language. Ivorian poet and writer Tanella Boni has been celebrated for decades, but The Future Has an Appointment with the Dawn is her first book of poems to be translated into English. It is broken into two large sections, each laying out a provocative, imagistic narrative that speaks to the Ivory Coast's recent, brutal history. These sections are further broken into nameless, smaller poems. Boni's writing, translated from the French by Todd Fredson, does not pause for punctuation, making sentences crash together, thoughts meld and images blur. Reading The Future Has an Appointment with the Dawn feels a bit like looking into a kaleidoscope as an unseen hand turns the viewfinder to create new patterns and colors. But Boni is too skilled a poet to let her readers go far adrift. The second, shorter section of The Future, "A Murdered Life," contends with the brutal killing of a young man during the Ivory Coast's sectarian violence in 2000. There, Boni's words vividly depict the ruthlessness of her country's past. She describes the death in terse, harsh words: "Out in the open a man in uniform/ clubbed you/ in compliance/ you split at the temple like fruit." Whatever dreamlike imagery that has come before is silenced by the pain and death she brings to the forefront at this moment. The result is electric, a book where both gorgeous imagery and human cruelty arrest the reader, pointing them toward a perspective of the Ivory Coast that is personal, magical and true. --Noah Cruickshank, adult engagement manager, the Field Museum, Chicago, Ill. Discover: The Future Has an Appointment with the Dawn is the first English translation of a collection of celebrated Ivorian poet Tanella Boni. Caldecott-winning author/illustrator Yuyi Morales's (Viva Frida) newest book, Dreamers, begins with the lines, "I dreamed of you, then you appeared. Together we became Amor--Love--Amor. Resplendent life, you and I." A double-page spread shows a woman and baby, both with outstretched arms, reaching for each other across the textured paper's blank space. "One day we bundled gifts in our backpack, and crossed a bridge outstretched like the universe." The mother dons the pack and carries the baby across the bridge. The mountains are gray, the bridge is gray, the birds are gray but the mother's multi-colored skirt shines with brilliant color. "And when we made it to the other side, thirsty, in awe, unable to go back, we became immigrants. Migrantes, you and I." This new place welcomes them "in words unlike those of [their] ancestors" and they stumble through life in their new city, "[u]nable to understand, and afraid to speak." 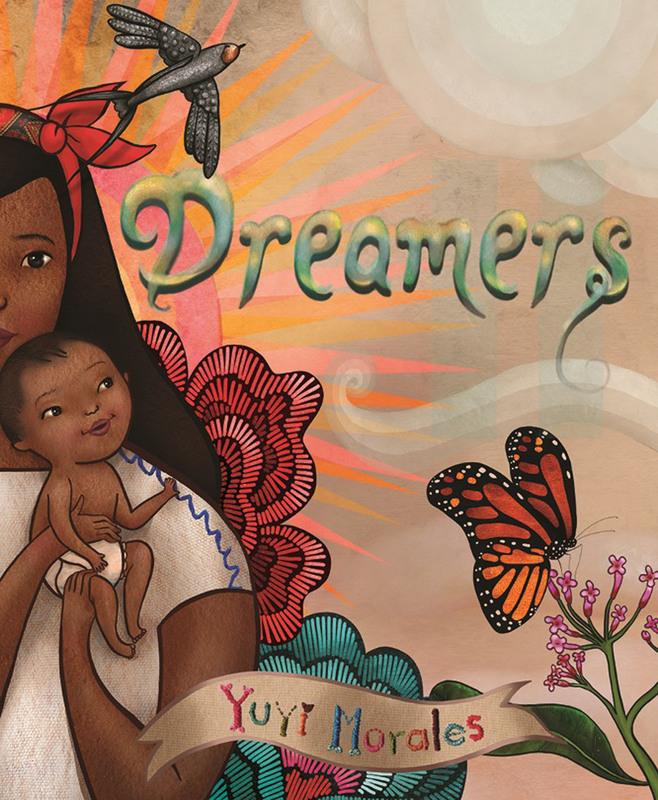 Discover: Yuyi Morales tells her own immigration story in the glorious, emotional picture book Dreamers. William "Bill" Lewis was born on a plantation in Winchester, Tenn., sometime between 1810 and 1815. The black biological son of Colonel James Lewis, Bill was enslaved alongside his mother and siblings. "As soon as Bill was old enough to grip a hammer, Colonel Lewis decided that the young boy should be a blacksmith." Bill started by putting away tools, sweeping ashes and hauling coal and water; as he grew, he learned more about the trade and increased his skills. "Bill had not asked to become a blacksmith, but he was very good at it.... He earned so much money fixing old tools and creating new ones that Colonel Lewis let Bill keep a little money for himself." And this was how his plan blossomed: he decided that he would use his skills, work hard and earn enough money to buy his and his family's freedom. Bill opened up a blacksmith shop and slowly, through relentless, near-constant work, earned the money to free first his wife, then himself, his child, his mother, his aunt, his brothers and, finally, his sister. "Twenty-six years after" Bill put his plan in action, it was complete: "Now he finally had his loving family around him, just like when he was a boy. Only now they were all free." Discover: This meticulously researched account of Bill Lewis's life in--and escape from--slavery is an engrossing work of nonfiction for young readers. In January, a child finds a hole in his garden that's "not a very big hole." But since "it's just the right size for [his] best marble," the unnamed boy drops the marble in and hopes a tree will grow from it. When February rolls around, there's no marble tree (because "[m]arble trees don't grow overnight"), but since the hole is "a little bigger now," he drops in some candy, hoping for "a candy tree." Of course, March comes and "[t]he candy tree isn't growing either." But the hole is even bigger now, so in goes his flashlight. April, May, June... the rest of the year comes and goes with the boy expecting trees to grow out of the increasingly absurd items--robot, piano, dinosaur!--he throws into the ever-enlarging hole. Finally, by December, when the hole has grown so large it's "swallowed the garden," the boy does some research and comes up with his most spectacular idea yet. Discover: Hoping to grow an unusual tree, a boy plants larger and larger objects in an ever-widening hole in his garden.